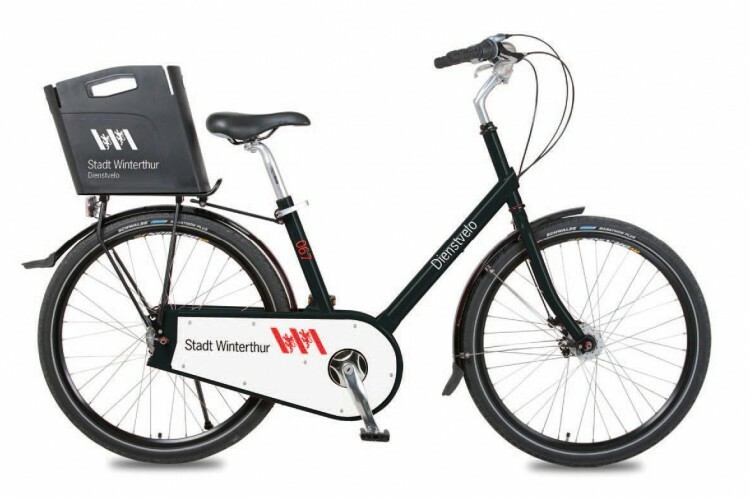 32 Paper Bicycles and 40 e-Paper Bikes for the municipal employees in Winterthur. The Design: „Paper Bicycle“ – a patented frame design with various special adaptions for public cycling operations. A unisex design with a low step-over main frame support using a steel frame with an integrated chain box. 26“ wheels with the innovative seemless internal hub shifter NuVinci (360% ratio) and Shimano Rollerbrakes. Hub dynamo and fail safe cabling and wiring. The bikes are also secured against theft using special safety screws and nuts. Sensor-controlled LED lights automatically turn on whenever needed. These bikes were equipped with a GPS system that provides data to help optimize operations efficiency, maintenance and also to design city infrastructure.